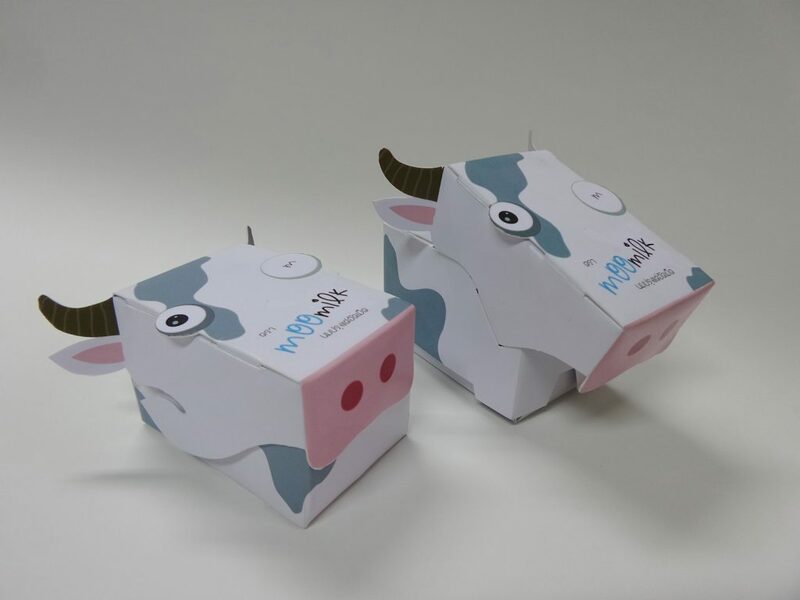 Moo Milk, an idea by Ms. Sunisa (Pop) Nirat, a fourth year student in RMUTT’s Department of Product Design, Faculty of Fine and Applied Arts, was one of 21 packaging designs from Thailand that has received the AsiaStar Awards 2017 Winner in the prototype packaging design for distribution of general products, under the student category. The AsiaStar Awards was held in Colombo, Sri Lanka and a total of 233 entries from 10 countries were displayed. Ms. Sunisa (Pop) Nirat said that she enjoys eating milk tablets. 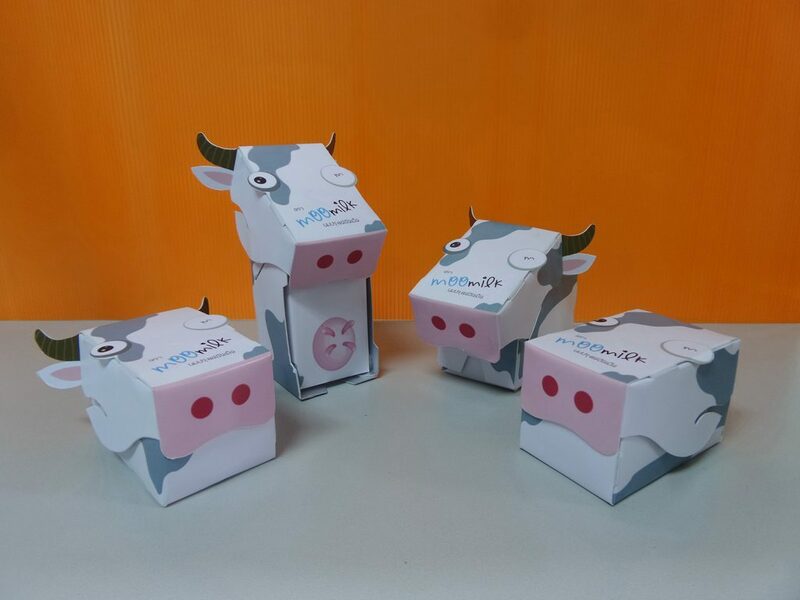 However, most of the milk tablets sold in the market are usually packaged in small packets. 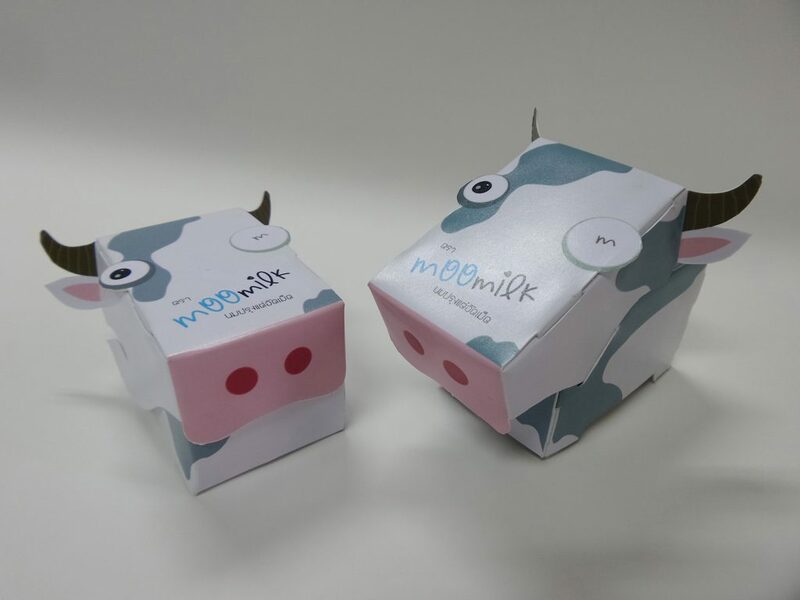 Hence, she had an idea to develop an alternative package for milk tablets in the form of cow-shaped milk boxes called Moo Milk. 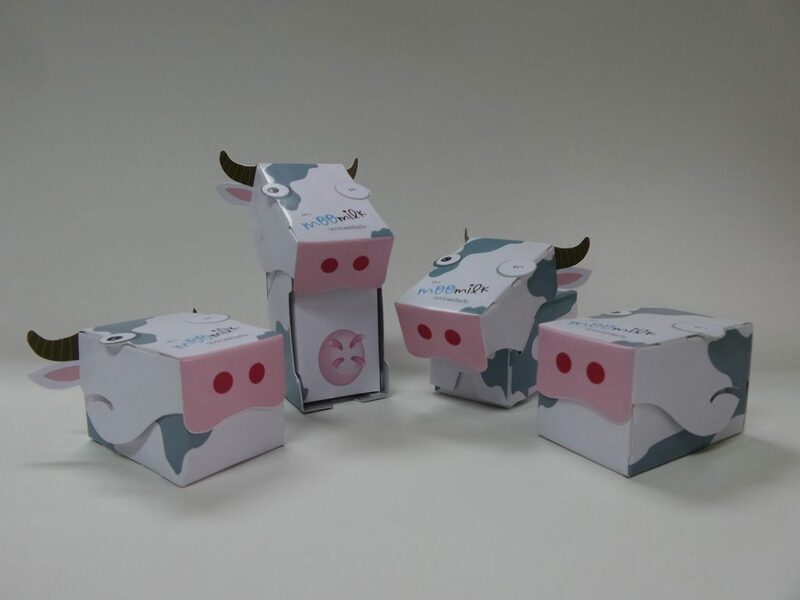 The concept emerged from paper folding when she was younger. 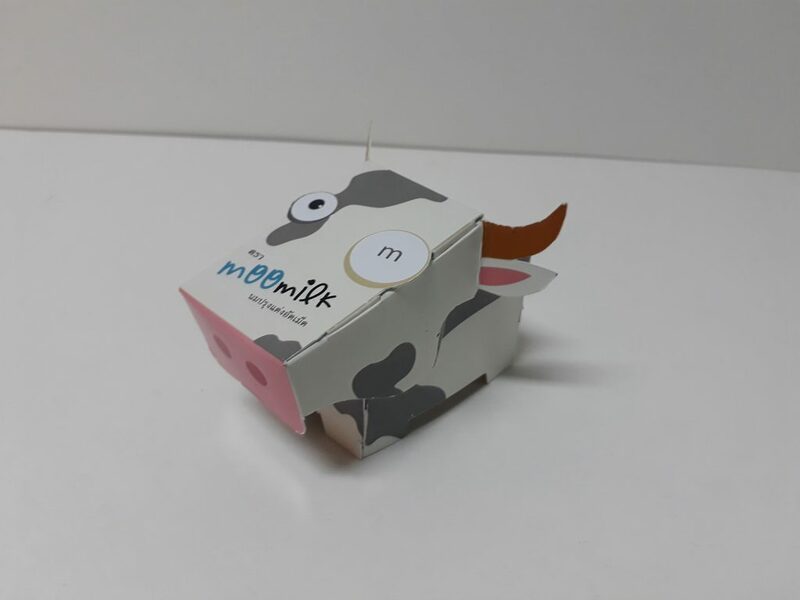 In addition to wrapping the milk tablets, the Moo Milk package may also be a toy to enhance children’s creative skills and imagination, and can be folded into a box for distribution as well. 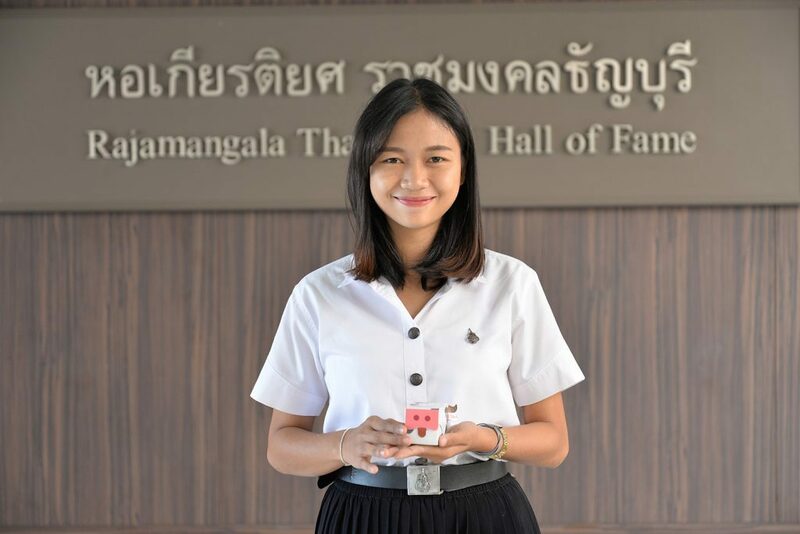 Once Ms. Sunisa (Pop) Nirat’s package was complete, her professor encouraged her to submit her package to the Thaistar Packaging Awards 2017, in which she received an honorary award from a total of 352 entries. 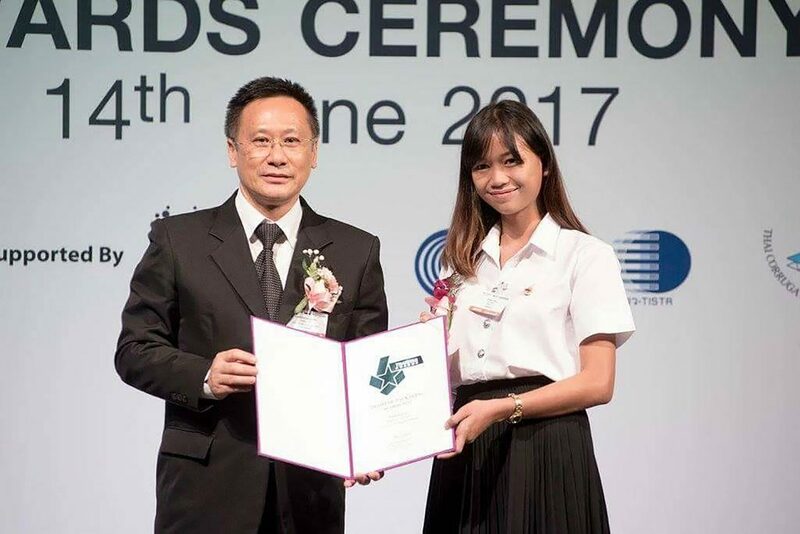 Furthermore, her package was the first of eight entries that have been shortlisted to represent Thailand in the AsiaStar Awards 2017. There were a total of 25 packages from Thailand and 21 packages have received awards, including hers. She felt glad and proud to receive the award as it is a package that she has worked very hard on and had used knowledge learnt in class to design the package. 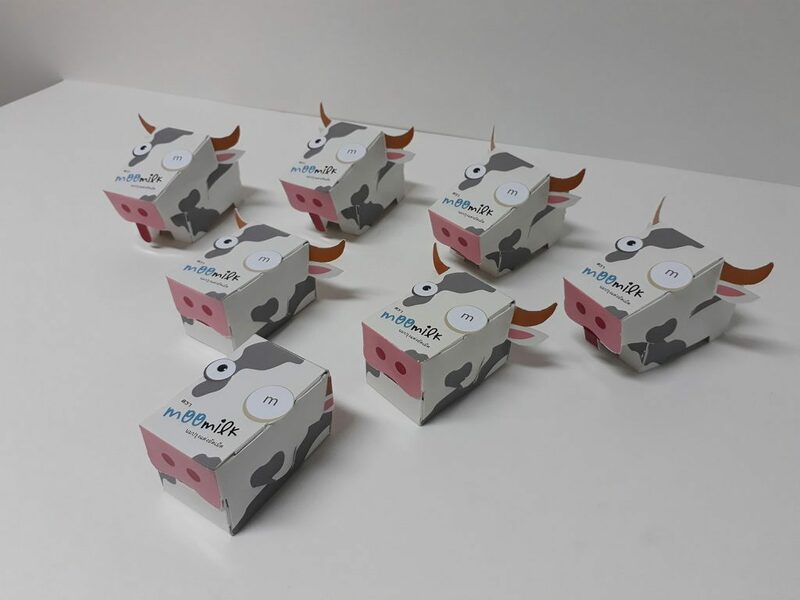 She decided to enroll in product design courses to design and change packaging, and make designs accessible and useful, besides being used to wrap a package. Asst. Prof. Jutamas Charoenpongmala, a permanent Product Design professor in RMUTT’s Department of Design and Technology, Faculty of Fine and Applied Arts said that the Department aims to provide opportunities for students to submit their work to competitions. 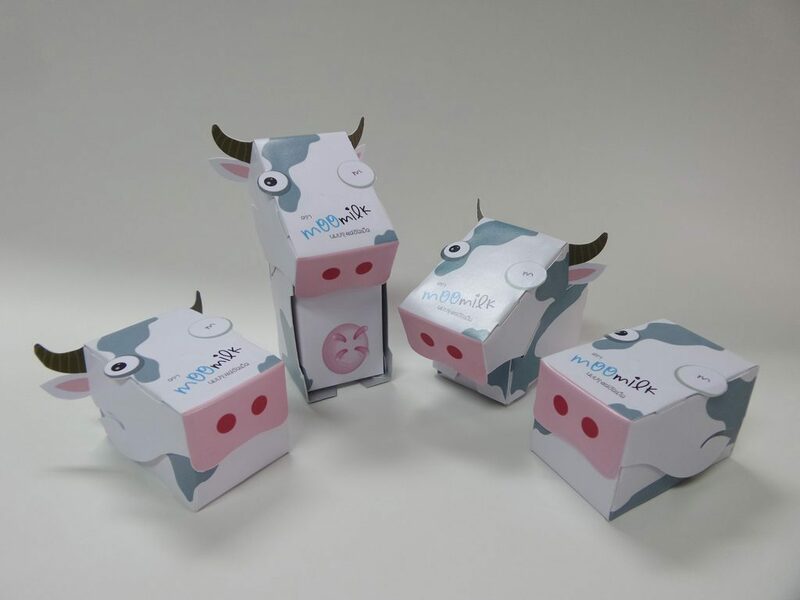 Hence, packaging design and packaging design development courses have been offered to students so they can both learn and gain hands-on experience. 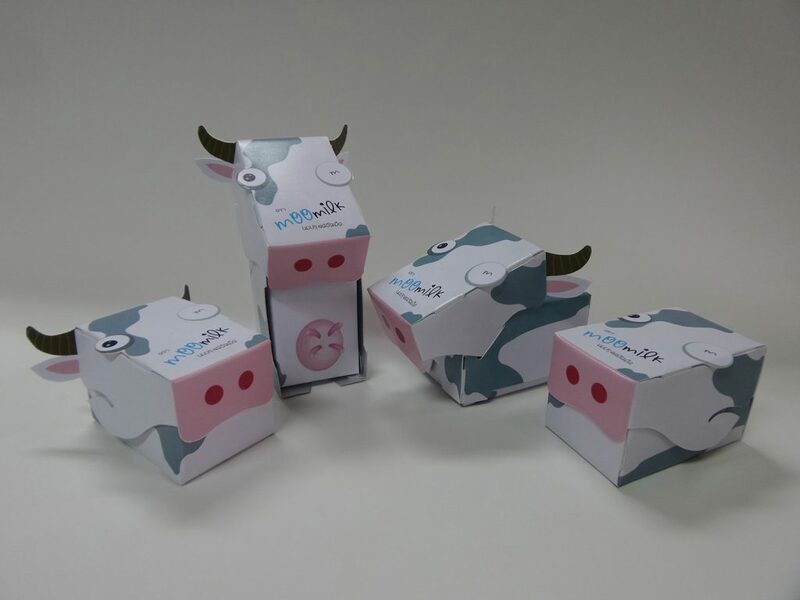 Packages that students have designed can also be submitted to competitions. So far, there has been good reception from competitions as students receive awards every year, which is a guarantee of their capabilities and skills, and prepares them for work after graduation. 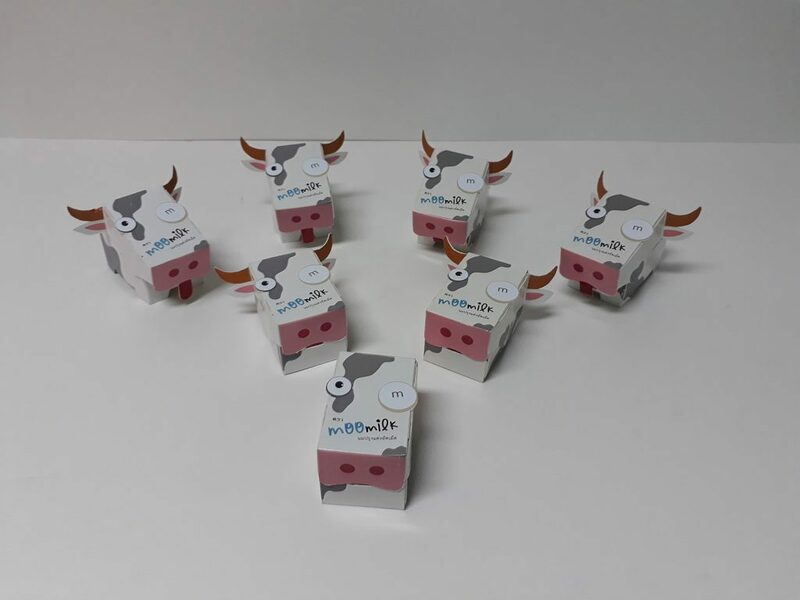 The concept of each package design is based on each individual’s preferences. “My responsibility is to teach and advise students regarding their designs so they can be improved” said Asst. Prof. Jutamas Charoenpongmala. Moo Milk, a cow-shaped package designed to store milk tablets stemmed from a student’s personal preferences. 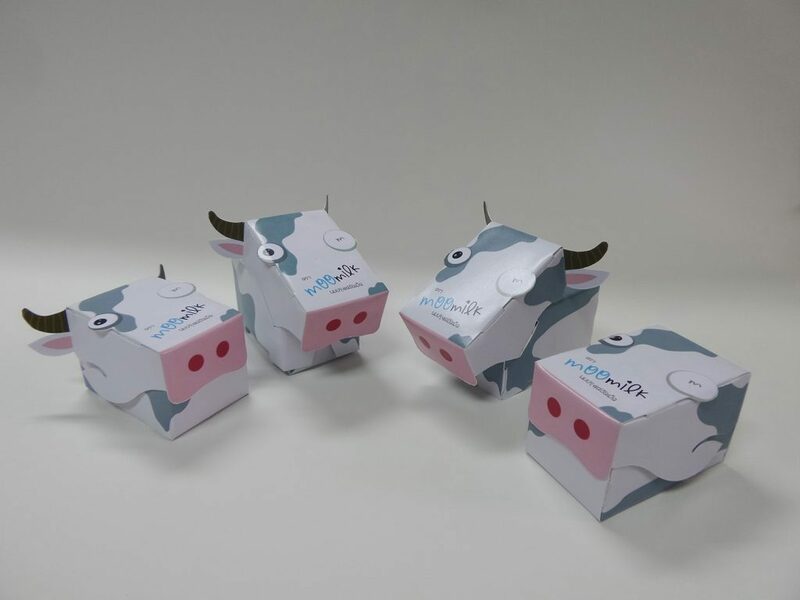 She has applied her childhood experiences in designing the package. Furthermore, the Faculty of Fine and Applied Arts avidly support students in submitting their work to competitions.